Lady Davina is far from home—bound to marry the cruel Lord Edmond to save her aunt and uncle—her guardians after the unexplained deaths of her mother and father. Realizing the forthcoming marriage is a huge mistake, and haunted by dreams of her past, she eventually manages to escape the clutches of her would be husband, but an accident deep in the forest leaves her vulnerable, and once again in the evil clutches of the vile Lord Edmond. Yet the forest holds secrets—as old as time—as old as the myths and legends that were born out of the hills and mountains. 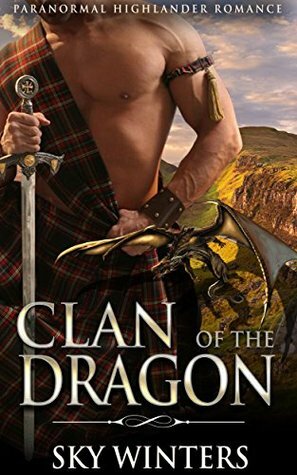 When James McCraig appears out of nowhere with his men, Lady Davina's life is set to change forever. Oooh short stories...there is no in-between with you. Sighs. The beginning was decent, but it would spiral out of control with terrible plot holes scattered everywhere. Evil, lustful, and cruel Edmond has pretty much dangled salvation for Davina and her family IF they agree for her to marry Edmond. For some reason, they allow Davina to head to Edmond's place with no escorts and no ring on her finger yet. Dumb idiots! Grrr. SO not what would happen. After almost being raped a couple of times, Davina decides its best to run away. However, where is she going? What is her plan? She steals a horse and just goes. Is she heading towards her old home? I have no idea. On her way outta town, Edmond catches her., because the idiot gets hurt. Duh...when you have no plan you are bound to get yourself hurt and get caught. Plus the fool got the horse hurt. Poor baby! OH! And what time period is this suppose to be? I'm so lost! And because of the names of the characters and the summary I am going to guess this is set in Scotland, but gods when are we? Sighs. I can't really fathom a guess. Okay - okay. Maybe I am being unfair since this IS a short story and it was short indeed. However, get some tar and fill in those plot holes. This had a lot of potential! Lots of good story plots that would have been awesome, but all that good material was for naught. Super bummer and super meh. I am curious to see what else the author has to share. Maybe something better and makes sense. I'll stamp this with 1 star. Have a lovely winter holiday, without insta-lust and pseudo-historical freebies :). Grrrr...insta-lust! Ana, you as well! Gah! Insta-love.